This type of agate is black. It can be of a very dark color or with layers of dark hues with grey or black colors. Black agate would be good for bones and articulations. It would help with mobility problems in general. It would be efficient against skin problems. 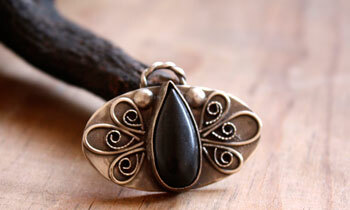 Black agate would prevent from feeling dizzy. It would help fertility by helping the reproductive organs. It would relieve menopause problems. Black agate would be good for breast cancer. It also has the properties of the agate in general.